Pickup ZipPlease enter a valid 5-digit Zip code. Delivery ZipPlease enter a valid 5-digit Zip code. Move datePlease select a date. NamePlease enter your first and last name. PhonePlease enter a valid phone number. EmailPlease enter a valid email address. The BEST moving company I’ve experienced in years. The crew was friendly and professional, skilled and fast. They moved my entire business in just a few hours and my items went to multiple locations (my office and their storage). I can’t say enough positive things about my experience with EE Ward. I have used this company for two large commercial moves in the last year and have found them to be consummate professionals. They have been timely, thorough, and customer focused. I recommend them highly and plan to use them exclusively in the future. We used E.E. Ward several times and yes, we would not go anywhere else. From the first appointment with Cole, to the end results with their crew, Deron, Derek and Eddie. We had three locations to move to and went off without a hic-up. I highly recommend them for all your moving needs. Now Offering Moving Services in the Charlotte, NC area! 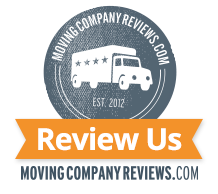 When you’re looking for trustworthy, reliable Columbus, OH or Charlotte, NC movers, come to the professional movers who’ve been in business since 1881. Founded by John T. and William S. Ward with a team of horses, a wagon and two helpers, E.E. Ward today stands out among local moving companies for its commitment to providing movers with an unmatched sense of comfort and security. We customize moving services so that your entire Ohio relocation experience is free of worries and hassles from beginning to end, whether you’re moving to, from or within the area. Whether you’re moving home or office locations, E.E. Ward offers services catered to you. 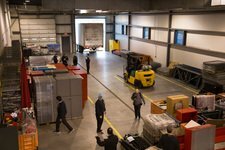 An established leader among moving companies in Columbus, OH and Charlotte, NC, we specialize in residential, commercial, office, corporate relocations and other moves. In fact, to help make moves smoother and more seamless for our clients, we provide all-inclusive services and support that includes packing, storage, furniture installation and more. E.E. 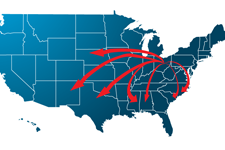 Ward serves customers throughout the greater Columbus and Charlotte areas, providing local, interstate and long-distance moving wherever you need to go. 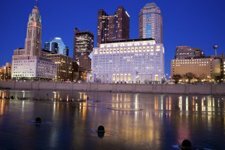 Basically, whether you’re moving to Columbus or Charlotte, from Columbus or Charlotte or within the area, you can count on our movers in Columbus, OH and Charlotte, NC to make it easy. 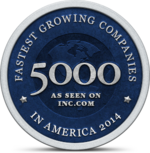 When it comes to moving and storage companies in Columbus or Charlotte, look no further than E.E. Ward. We’re here to help make your move easier, smoother and more manageable from beginning to end. 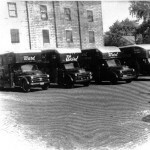 Looking for a specialized moving service?